Slice very ripe bananas and place in freezer along with the blueberries, preferably overnight. Pour a generous splash of the almond milk into the blender (you will need to use more if you are not using a high speed blender). Throw in the frozen bananas and blueberries and blend until you achieve an ice-cream like consistency. You can play with your desired fruit to almond milk ratio depending on how thick you like it. Add sweetener to taste (we usually use super ripe bananas and find we don’t need any). 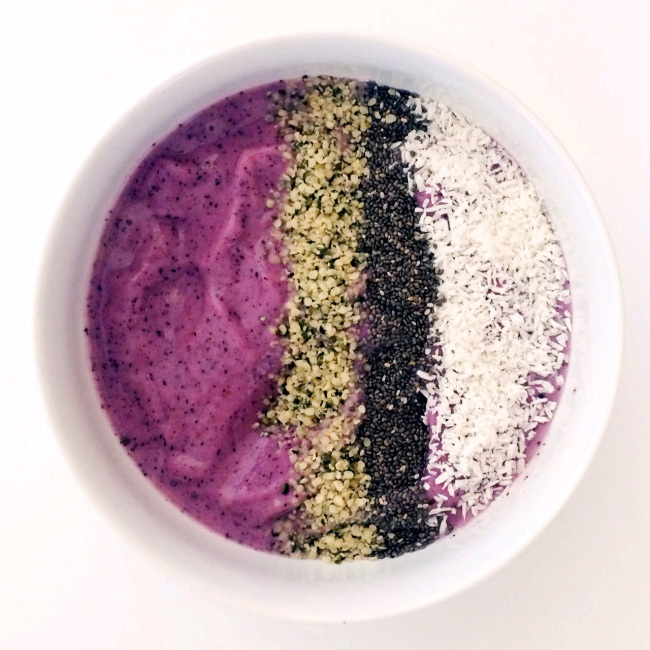 Top with hemp hearts, chia seeds, and unsweetened coconut flakes.